Within the framework of its digital library, Heidelberg University Library grants access to historical documents for research and teaching purposes. 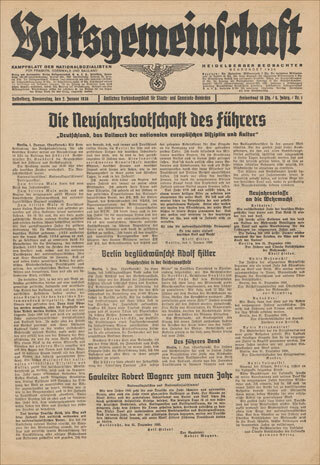 Note that this collection also contains journals and newspapers from the National Socialist era. Heidelberg University Library emphatically dissociates itself from the opinions expressed in any racist, violence-glorifying and National Socialist content..